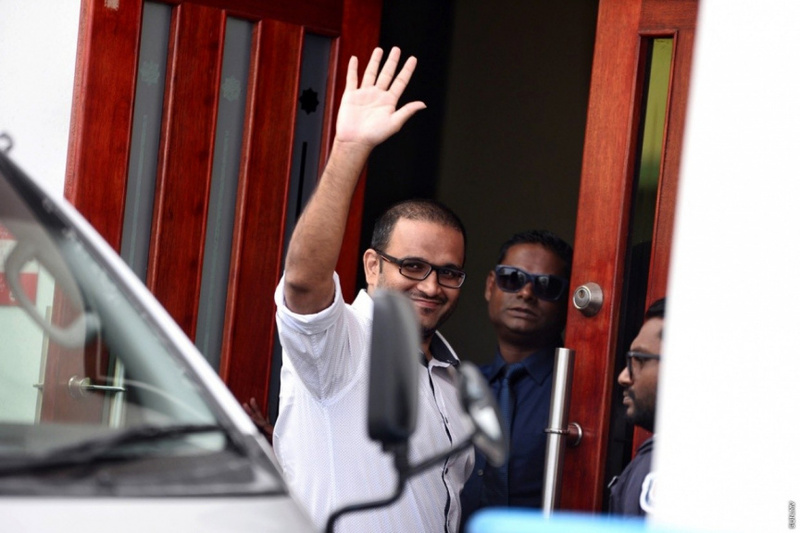 High Court has issued a temporary order to transfer the former Vice President, Ahmed Adheeb Abdul Gafoor, who is serving a 33-year-prison sentence on convictions of terrorism and corruption, to house arrest. The court made the ruling until a decision could be reached regarding the former Vice President's medical treatment after a request was made by his legal team at the hearing yesterday. Court order issued today stated that Adeeb's doctors have submitted a document stating that his is in critical condition due to his health issues. The statement said that Adeeb is in serious condition and on 24 January, he fainted in prison.